A motley crew of political newcomers that includes a cagefighter, university bartender, a musician and Canada's youngest MP ever will soon arrive on Parliament Hill to learn the ropes. 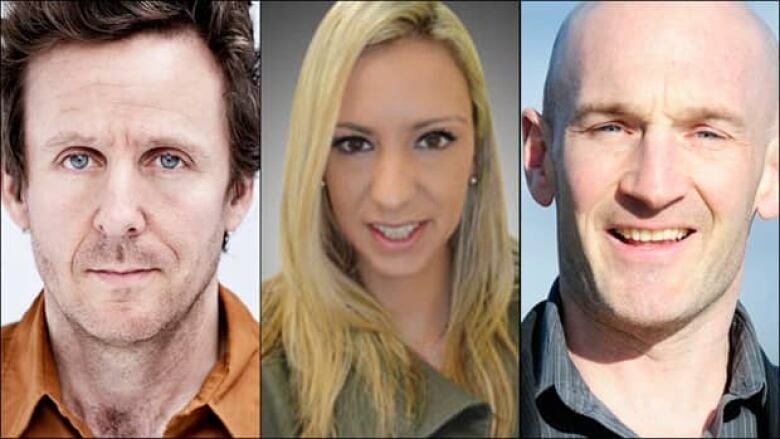 Andrew Cash, Ruth Ellen Brosseau and Ryan Leef are all headed to Ottawa as rookie MPs. A motley crew of political newcomers — including a cagefighter, university bartender, a musician and Canada's youngest MP ever — will soon arrive on Parliament Hill to learn the ropes. With the Conservatives sweeping to a majority and New Democrats securing a historic number of seats and Official Opposition status, a number of first-time candidates ended up with seats. Perhaps the most suprising victor as part of the NDP's overwhelming win in Quebec was Ruth Ellen Brosseau. An assistant manager at a Carleton University's Oliver's pub, she won Berthier-Maskinongé, a rural riding north of Montreal, with a 10 percentage point lead over the three-term Bloc Quebecois MP, Guy André. This, despite taking a vacation in Las Vegas during the campaign and continuing to work in Ottawa — a several hours' drive away from her riding. And though she works in the bilingual nation's capital, an NDP spokesman told the Globe and Mail during the campaign that Brosseau was not ready to do a press conference because her French still needed work. A short bio on the NDP website describes Brosseau, who has a college advertising and communications diploma, as a community activist whose passions are finding homes for stray animals. 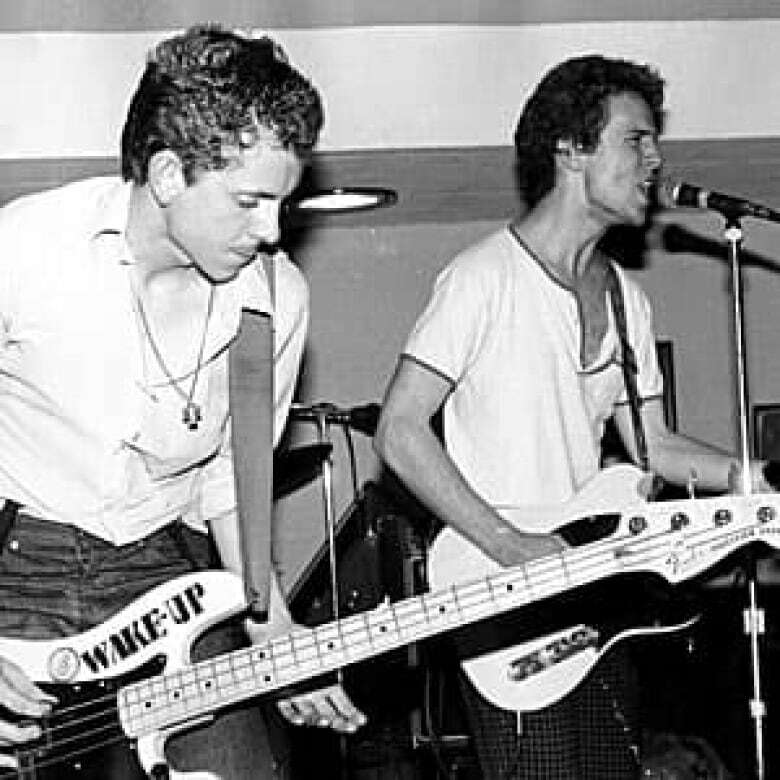 NDP MP Charlie Angus, left, and newly-elected New Democrat Andrew Cash played together in the post-punk band L'Étranger in the early 1980s. (Courtesy of Luis Marmelo) During the campaign, an NDP spokesman commented that the riding was one of several good places for young candidates to "cut their teeth" in politics since the party wasn't expected to win there. That was before polling showed the perennial underdog political party was about to overtake "Canada's natural governing party." Up in Canada's mountaineous northwest corner, a cage fighter successfully fought his way into the Yukon seat. Conservative candidate Ryan Leef, 37, narrowly defeated four-term Liberal MP Larry Bagnell, with less than a one percentage point lead. He will now have to learn the rules of the political blood sport when he heads to Parliament Hill to represent the expansive 455,400 square kilometer territory. Though perhaps best known for his cage fighting, the athletic, blue-eyed incoming MP is a deputy superintendent at the Whitehorse Correctional Centre, worked as an RCMP officer in the area and teaches local self-defence courses. In Canada's largest city, a musician running for the New Democrats managed to unhinge the Liberal Party's 49-year-long rule in the Davenport riding. Andrew Cash — a freelance journalist and alternative musician whose latest record is titled "Murder = " — routed longtime politician, Mario Silva, gaining twice the votes. The regular contributor to Toronto's Now Magazine ran with the catchy slogan "Trade your Silva for Cash" and used the playful Twitter handle "Cash4TO." Early Tuesday, the mellow songster tweeted that May 2 was "the absolute BEST night." The NDP sweep in Quebec also saw three current McGill University students and a recent graduate elected as Members of Parliament in the federal election. Two of them are co-presidents of the NDP McGill: Charmaine Borg, who won the southern Quebec riding of Terrebonne-Blainville with 49 per cent of the vote and reportedly does not own a cell phone, and Matthew Dubé, who won Chambly-Borduas. But the McGill students weren't the youngest in the bunch of newly elected. That title goes to NDP candidate Pierre-Luc Dusseault, 19-year-old Université de Sherbrooke student, who will forgo a summer job at a golf course to represent the Quebec riding of Sherbrooke in Ottawa. He breaks a nearly four-decade old record held by a Liberal MP, Claude-Andre Lachance, who was elected at the age of 20. As with all the newcomers headed to Parliament Hill, Dusseault will earn a basic MP's salary of $157,731. Not bad for a novice.